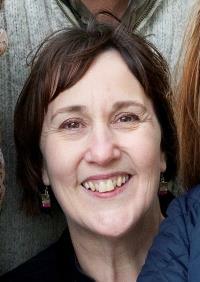 Welcome to my blog – my name is Linda and I was born in Essex, England in 1959. I now live in Hampshire, with my super husband, David. We have two beautiful daughters, one of whom, Lizzie, is a secondary school science teacher and is married to our wonderful son-in-law, Lewis. We also enjoyed welcoming their first child, Helena, into the world recently. Our other daughter, Ruth, works hard as manager in a well-known grocery store nearby and enjoys her independence living not too far away from home with her husband Josh (another wonderful son-in-law). Previously a Church of England Reader, I am now an Assistant Curate (Associate Priest) who studied at Ripon College, Cuddesdon on a MA course in Theology and Ministry. As I mentioned in my very first blog, every life is a journey. We start it the moment we are conceived to the moment we die. Each person’s journey is unique – which is what makes each of us unique. Some days we get to run ahead, others we are sat indoors with our noses pressed to the window pane. On good days we feel totally in control on others we sense we are being swept along hoping that someone will be there on the river bank to throw us a lifeline.